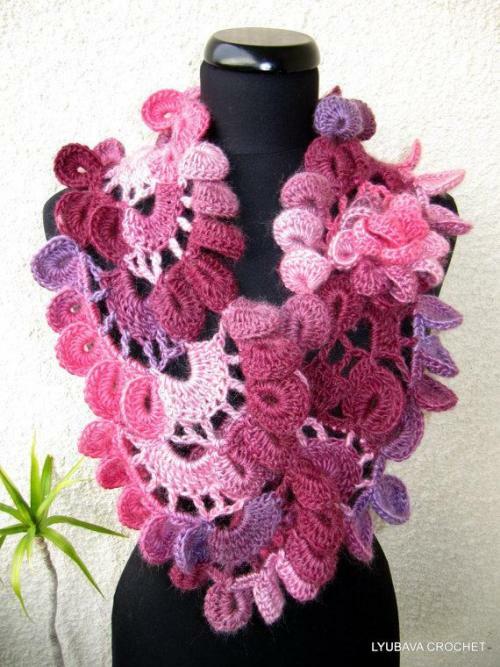 from Lyubava Crochet Pattern via Craftsy. This lady truly is an artist. She makes the most amazing scarfs. Check her out via the link.